Out of bao-based puns and approaching fullness after stops at Dean Sin Noodle World and Shau May, we only had to walk across the parking lot of Kang Kang Food Court to reach the final stop on our xiao long bao tour: Mama's Lu. In addition to an expandable stomach, it helps to have cash if you're eating in the SGV. 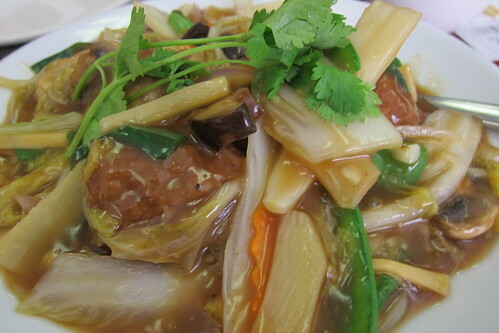 Many Monterey Park restaurants don't take credit cards, and Mama Lu's is no exception. Fortunately, you won't need much because Mama's Lu, like all of the restaurants we hit on this crawl, was so cheap it baffles me how they stay in business. For $4.99 -- less than a McRib, fries and a soda -- you get 10 hot, freshly steamed dumplings, bursting with juicy perfection. 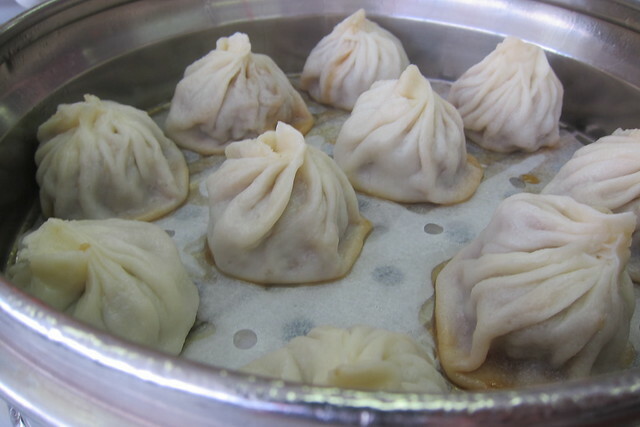 Located in the former home of Heavy Noodling at the corner of Garfield and Garvey, Mama's Lu offers another superb example of xiao long bao. The wrappers are thinner than on the dumplings at Dean Sin, the broth is a touch sweeter and the meatballs inside are more strongly flavored with garlic and ginger. Here, the standard condiments of soy sauce, vinegar and chile paste, are mixed together and served with slivers of fresh ginger in a small dish. 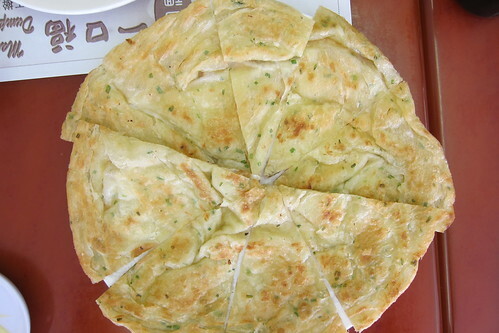 Mama's Lu also makes a fine green onion pancake -- thin, flaky and impossible to stop eating. They're also known for their Braised Lion's Head Dumpling, a dish of exceptionally soft meatballs, Napa cabbage and onions in a thin brown broth. Mama's Lu: 153 E. Garvey Ave, Monterey Park; (626) 307-5700.